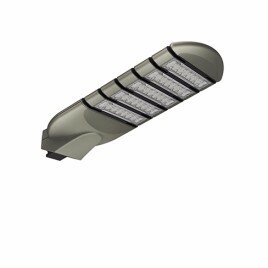 Light Source: With low degradation, low power consumption, high efficiency Samsung chips to ensure high luminous efficiency. Driver: Meanwell driver, IP66 dual waterproof function. Structure: Modular design with single waterproof connector for each modular,it is easy for replace and maintain. Applications: for Urban Road, Main Street, Highway, Sidewalk, Square etc.